Pushing for public private partnership (PPP) model for development of smart cities, Union Urban Development Minister M Venkaiah Naidu on Monday said that the central government was ready to provide viability gap funding for interested parties. “It will take lakhs of crore to invest in smart cities. You cannot expect the government to make all that investment. We invite private players to come ahead and build smart cities. The government will provide viability gap funding and will also facilitate wherever necessary. 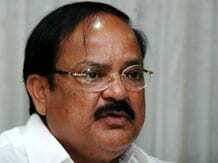 But it has to be built through PPP model only,” said Naidu while speaking at a session on smart cities during the ongoing Vibrant Gujarat Global Summit 2015 being held at Mahatma Mandir in Gandhinagar. Naidu also said that the government was in process of coming out with documents on smart cities by the end of the month, wherein a final decision on identification of smart cities will be taken. However, Naidu added the decision would be taken post consultations with all state governments. "We will be coming out with the final touches of the documents by the end of this month. We intend to call a meeting of all the secretaries of the urban development departments of various states for a final consultation. Only then, we will launch the smart city plan,” Naidu said. Naidu said that the smart cities intense involvement of local municipal bodies, apart from state government bodies. “Local and state bodies need to be taken into confidence for development of smart cities,” Naidu added. Naidu said that the smart cities will have to be liveable, and provide clean and healthy living conditions. Meanwhile, among other speakers, Jagdish Salgaonkar, project director for Delhi-Mumbai Industrial Corridor Development Corporation Ltd (DMICDCL) said that the Dholera smart city was likely to be completed in next 30 years, resulting in a population growth from current 5300 to 2 million. One of the first tenders for the projects was given out recently in November 2014, Salgaonkar said.